Councillors gave their unanimous support to a list of commitments designed to tackle modern slavery at the meeting on Monday. Opposition leader Cllr Sean Woodcock’s motion asked Cherwell District Council to take 11 steps to try to bring the ‘very real and very local’ crime to an end. The motion also calls on the government to increase the amount of support provided to survivors from 45 days to 12 months. 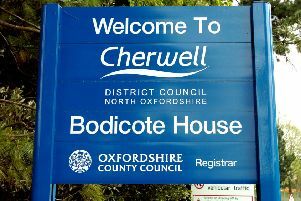 Cllr Woodcock said after the meeting that the vote means Cherwell is the first Conservative-led council to adopt the Co-operative Party’s charter, which his motion is based on. Councillors also urged the public to help in the fight by reporting any concerns about forced labour, marriages and other forms of modern slavery, which can be found in many different businesses. According to Cllr Woodcock, Thames Valley police and crime commissioner Anthony Stansfeld has said the problem in Oxfordshire is worse than previously thought, with 157 victims across the county. Cllr David Anderson said he has experienced some ‘horrendous’ incidents of modern slavery after five years as a social worker.